Thank you for your interest in the University of Louisville Cardiology Fellowship. Over the past 10 years, the Clinical Training Program of the Division of Cardiology has recently undergone a major restructuring which is aimed at emphasizing basic and clinical research while maintaining its traditional strength in clinical cardiology. The overall goal of our program is to prepare academically-oriented physicians to assume their roles as future leaders in investigative and clinical cardiology. To this end, the Division of Cardiology offers an intense clinical experience that encompasses diverse patient populations (at the VA Medical Center, at the University Hospital, and at the Jewish hospital) and is enhanced by state-of-the-art equipment in both invasive and noninvasive laboratories at all three hospitals as well as by a large number of procedures and a dedicated staff. At the same time, Fellows have an opportunity to be trained in basic research and to take advantage of our outstanding, multidisciplinary basic research program at the Institute of Molecular Cardiology, which encompasses molecular biology, signaling, pharmacology, biochemistry, and integrated physiology. A four-year track is offered to those Fellows who are interested in two years of basic research training coupled with two years of clinical training. Protected time for clinical research is also offered to most Fellows throughout the standard three-year training. The atmosphere of the Division of Cardiology is research oriented and throughout their training. Fellows will be exposed to concepts, approaches, and techniques that represent the latest advances in the clinical cardiology and cardiovascular sciences. A well-planned portfolio of conferences is designed to update trainees on the latest advances in cardiology and, at the same time, to stimulate their interest in research and foster the development of critical thinking. You will find the overall atmosphere and rapport with the faculty to be among the most cordial and friendly. An additional attraction of our Fellowship program is its geographical location. With a population of over 1.2 million, Louisville and its surroundings provide a high quality of living and all of the amenities expected of a large city, including a vibrant cultural life with outstanding symphony, opera, ballet and theater performances, excellent public and private schools, safe neighborhoods, a friendly atmosphere, a low cost of living, and a variety of social attractions. 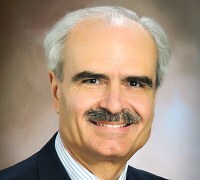 In summary, the traditional excellence of the training program of the Division of Cardiology at the University of Louisville in clinical medicine has been strengthened by the addition of a strong research focus. Our program offers a well-rounded, balanced mix of research and clinical training and is a vibrant, stimulating, and academically rewarding experience for our Fellows. The Division is committed to providing our trainees with the best clinical and research training in cardiology, so that the Fellows will be prepared for either an academic or a clinical career, depending upon their interests. Over the past 10 years, a growing number of our Fellows have opted for a full-time academic position rather than private practice - a clear testimony to the effectiveness of our emphasis on research and scholarship. We welcome you to consider the University of Louisville for your cardiology Fellowship.